Canada is a popular destination for hunting and fishing enthusiasts. Residents of the U.S. are particularly well positioned to take advantage of the hunting and fishing opportunities on offer. Canada’s diverse natural landscape allows for a wide variety of wildlife and terrain that appeal to hunters and anglers of all skill levels. Bears, fox, and deer are among the many animals that can be found in Canada’s forests, while salmon and trout are among the many species of fish that populate its lakes and rivers. 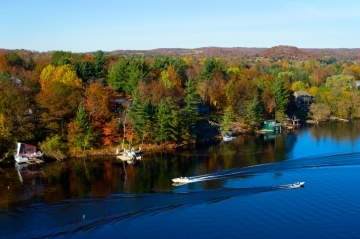 For many hunting and fishing aficionados, Canada is considered the ideal setting to practice their sport. For example, thousands of Americans decide to come to Canada to spend their vacation on a hunting or fishing trip in the great white North annually. Although most of these individuals will enter the country without incident, those with a criminal record could face an issue and risk being denied entry to Canada because they are criminally inadmissible. 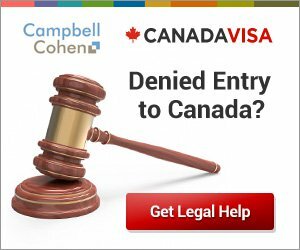 If you are planning a trip to Canada and are unsure whether or not you are criminally inadmissible, it is wise to check with an experienced immigration attorney. This is particularly true in the context of a hunting or fishing trip for a few reasons. Hunting and fishing trips are generally expensive. Anyone who has gone on a hunting or fishing trip, or has looked into going on one, can attest to this. When you take into account transportation to the site, lodging, and equipment rental, hunting and fishing trips can carry a hefty price tag. Many of the associated expenses are non-refundable, which means that if you are turned away at the border, you will not only be deprived of an unforgettable experience, but some of your hard-earned money as well. People often go on hunting and fishing trips in a group. Because of this, an inadmissibility issue when attempting to enter Canada can lead to uncomfortable and potentially problematic situations. Individuals travelling with friends or family members may be embarrassed if stopped at the border, particularly if they were previously unaware of whatever is on one of their travelling party’s record. A potentially even more unpleasant and troublesome scenario is if you are traveling with work colleagues or an employer. Criminal charges on your record have the potential of causing repercussions at work, including the possibility of losing your job. Travelling to the Canadian border can be a long trip. Depending on your place of residence and your mode of transportation, the Canadian border may be far away. Consequently, a refusal at the border could be particularly distressing due to the significant waste of time and money. Logistical issues can also ensue if you are travelling in a group and some members of your party are not refused entry and decide to go on without you. You would have to figure out your own way home from the border, which is not always easy or cheap. If you are planning a hunting or fishing trip to Canada and have reason to believe that you may be inadmissible to the country, please contact an immigration attorney for a free consultation.